Warming up an IP address means that you start sending low volumes of email on your dedicated IP and then systematically increase your email volume over a period of time. This gives ISPs the opportunity to recognize, identify, and evaluate your sending practices. During this period ISPs evaluate your sending behavior and content to see how healthy your list is and how committed you are to deploying relevant information to responsive users. They even look at things like how many users opened your email, scrolled to the bottom, or moved your message to other folders. The goal of warming up is to ramp up your sending volume to your anticipated “normal” levels, allowing the ISPs to gain trust in your sending behavior. You want the ISPs to learn your usual sending volumes so they can identify any suspicious behavior (i.e. spammers are known to infiltrate inboxes with malicious email by frequently switching IPs to circumvent ISP security checkpoints). For example, both Hotmail and Yahoo! limit the daily sending allowance for all senders. They assess your reputation to determine your normal volume and then once that volume is exceeded, they block the “excess” email. However, as they get to know you, they will increase your daily limits. It’s all about establishing patterns and a circle of trust. This warm up period provides you with an opportunity to remedy any issues you may have prior to deploying to your entire database. With the right email deliverability tools, you can determine if ISPs are throttling your mail and see if your email is ending up in the inbox. Check your delivery rates by campaign, ISP, day, time, etc. and adjust accordingly. Additionally, it’s a perfect time to reassess your content—identify which emails are generating the most (or least) engagement and find out why. By dealing with a small sample, you can more easily identify patterns and then, when your IP is warm, deploy the winning messages to your entire database. As a sender, warming up your IP provides a very unique opportunity to monitor and optimize your entire email campaign. You’ll also find that the good reputation you build during the warm up period will make your life much easier. 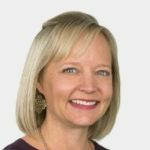 Instead of chasing down problems, you can focus more closely on honing your acquisition strategy and working on product enhancements. Every delivered email increases your overall opportunity and teaches you more about your customers and their needs. 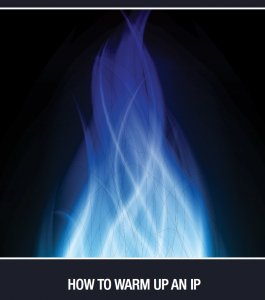 For more insight into how to warm up your IP including sample warm up schedules, download our free guide, How to Warm Up an IP and ask us any questions in the comments!